FastPass+ at Disney world and Max Pass at Disneyland are great for getting you to the front of the line at many attractions! Use this FastPass+ Park guide to help you determine the best fit for your family. Your Three Fastpass+ has been used for the day. Now what? 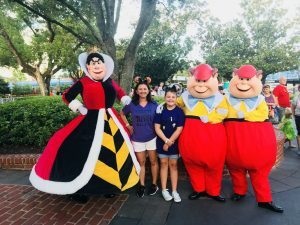 In this post, we’re going to talk all about Disney World’s FastPass+ system.? You can read all about Disneyland’s Max Pass system and how it works here. FastPass+ and Max Pass are must-haves for good park touring but they work slightly differently. Here’s what you need to know about Disney World’s FastPass+. WDW – FastPass+ are chosen at 60 or 30 days prior to arrival. DL – MaxPass is chosen on the day of arrival after you’ve entered the park. WDW – You can have 3 FastPasses at one time. DL – You can have 1 to 2 MaxPasses at a time. WDW – FastPasses are included with your park admission. DL- MaxPass is $10 per person, per day. However, you can use the old FastPass system at Disneyland for free. DL- MaxPass includes your photo downloads. WDW- FastPass+ does not include photo downloads. The original FastPass system was called “FastPass” and was a paper version.? The new system is all digital and the?name was updated with a + for the now “FastPass+” name! FastPasses are available for many attractions throughout the four Disney World parks. The best way to use FastPass+ is to choose the attractions that tend to have the longest lines.? This will maximize your time in the parks. I don’t advise picking FastPasses for the attractions that you’re most excited about unless that attraction consistently has a long standby line. Make sure you have loaded your reservation or ticket information into your My Disney Experience account prior to your FastPass day. You must have valid theme park tickets attached to your vacation package or MDE account in order to select FastPasses. 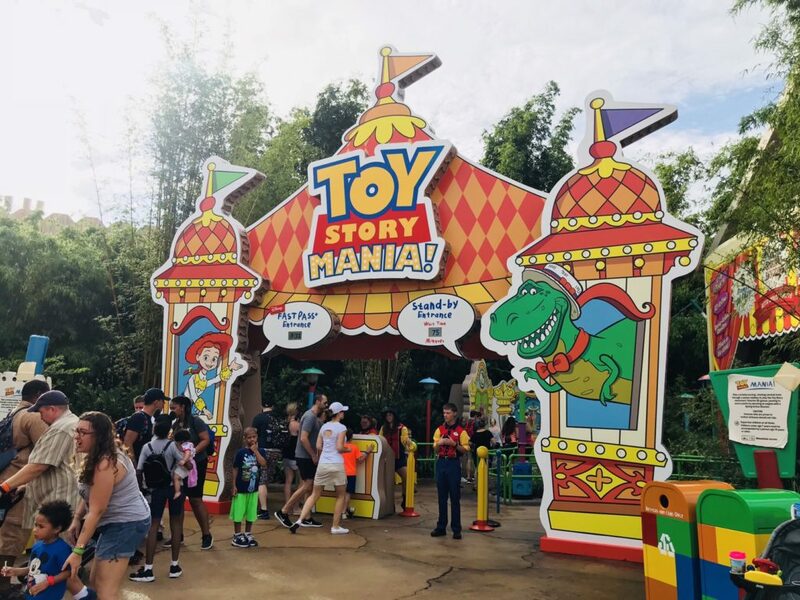 **If you load your reservation information on the morning of your FastPass selection day you may have a 15-minute delay in waiting for the system to recognize your reservation and allow your FastPass selections to be made.? Therefore I highly recommend entering your reservation into the MDE system PRIOR to your FastPass selection day. FastPasses can be selected via your My Disney Experience account (app or on the computer) at 60 days prior to your arrival IF you’re staying at a Disney World Resort or at a qualifying Good Neighbor Hotel. You can see more about Disney’s on property resorts here: Disney’s Deluxe, Moderate or Value Resort options. I suggest starting with the park that has the most popular and hard to get FastPass experiences or the FastPasss selection that is most important to your family. If you’re staying “off property” or not at a Disney World Resort or Good Neighbor Hotel you can select your FastPasses at 30 days prior to your arrival date. Unlike staying on property you will have to select each days FastPass at 30 days prior to the day you plan to go to a Disney park rather than the entire duration of your vacation in one morning. Confusing right? In other words, guests staying on property or at select Good Neighbor Hotels can choose ALL of their FastPass selections in one morning at 60 days prior to arrival whereas off property guests?will need to log in each morning at 7 am EST, 30 days prior to each of your park days to select Fast passes. They can’t all be selected at 30 days prior to your arrival day. On your designated fast pass selection day log in to your MDE and select “Get Fast Pass+”. You will then be prompted to “Create your FastPass+ party”. If you choose all people in your party they will each have the same FastPass+ with the same arrival window. To make different selections for different people in your party only select the people you’d like for the FastPass+ you’re choosing at the time.? Then repeat the process for the second group. Next, Select the date you want to make your Fastpass+ for. You’ll then be prompted to pick one of the four Disney Theme Parks you’d like to visit that day. You can only choose FastPass+ from ONE Theme Park per day!? You can NOT mix your FastPass+ between parks if you plan to park hop. Here you will choose the time and FastPass+ Experience you would like. Then the available Fastpass+ and arrival windows will populate. You can search by morning, afternoon, evening or a specified hour. MDE will show you what times are available or make a suggestion if the time you’ve searched isn’t available. You can see in my picture I’ve selected to search for morning and the app is showing me there are only afternoon arrival times available for Toy Story Mania. After selecting the FastPass+ Experience you’d like you’ll be prompted to review and confirm the selection. On the final step, your FastPass+ selection will be confirmed and you will be prompted to choose another Fastpass+ on the same day, another day, or be done. Do these steps for each of your park days until you’ve completed them for your entire Disney vacation. Remember if you are not staying at a Disney Resort or at a select Good Neighbor Hotel (You are able to select FastPasses 30 days prior to arrival) you will need to login to your My Disney Experience account each day to reserve FastPass+ Experiences 30 days prior to EACH park day’s arrival. You can select up to 3 FastPasses per person on each park day with valid theme park admission linked to your account. All FastPass selections for the day must be in the same park. If you park hop you can make additional FastPass+ selections in the new park AFTER you’ve used the original 3 FastPass+ selections you have made in MDE. 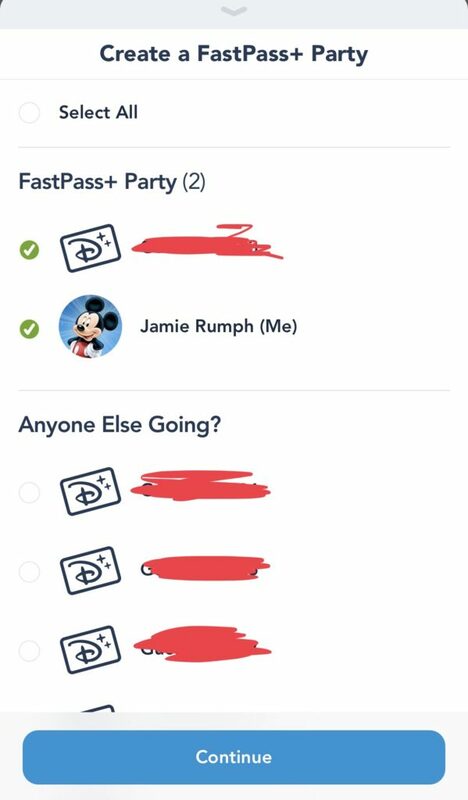 FastPass+ selections can be made on your MDE (My Disney Experience) account on both the computer or via your app.? The instructions above are shown via the MDE app but are similar online. Each person wanting to ride the attraction via the FastPass line will need a FastPass to be admitted. If a guest does not have a FastPass they will be directed to the standby line. If you’ve made dining reservations prior (which you should have at 180 days prior to arrival) MDE will give you a warning if your FastPass+ overlaps or comes close to a reserved dining time. MDE will not alert you for reservations like Bibbidy Bobbidy Boutique or other extra magic reservations that have been made by calling into 407-WDW-PLAY.? These reservations do NOT show up in your MDE account but you can use the notes feature to add them to your park plans. Hurray!? You’ve made it to your Disney World Vacation!? Now what? At this point, all of your dining plans and FastPass selections should have been previously made. Each of your FastPasses has a one-hour arrival window.? This means you should go to the attraction you have a FastPass for within that hour window to use your FastPass. You can arrive up to 5 minutes early or 10 minutes late for each FastPass. Each attraction with a FastPass option will have two lines to load the ride. IF you have a FastPass for that time window choose the “FastPass+ Entrance”.? If you don’t have a FastPass+ for that attraction or time window you will choose the “Stand-by” entrance as shown in the picture below. To use your fast pass you’ll enter the line that says “Fastpass+ Entrance” above it. The other line will say “standby Entrance”. At the line entrance, you’ll tap your magic band or plastic park ticket on the Mickey which will turn green for you to be admitted to the ride. If the Mickey turns Blue this means something has gone wrong and a cast member will assist you in figuring out what the issue is. On some attractions, you’ll have to tap your magic band when you enter the Fastpass+ line and also later in the line queue to verify you do have a fast pass. This keeps other guests from skipping into the Fastpass+ line part way through the queue. 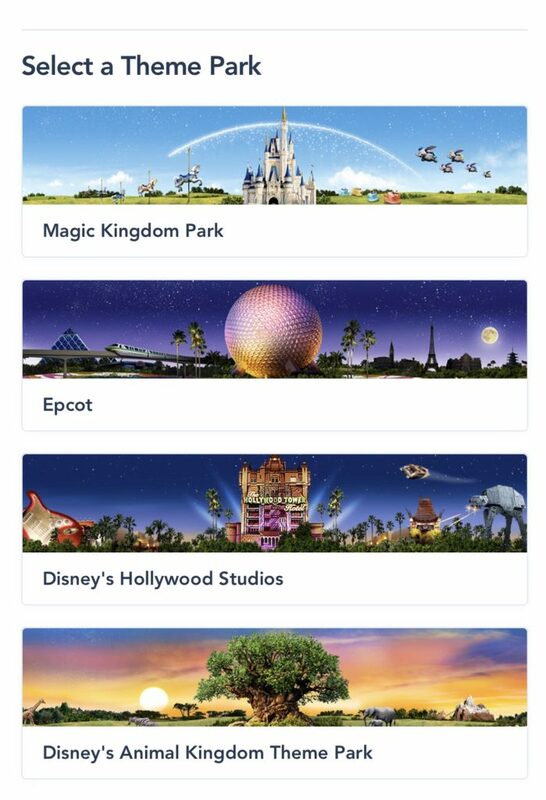 After you’ve tapped your magic band on your third FastPass attraction you’ll be able to login to your MDE app (or go to a Fastpass+ kiosk) and choose an additional fast pass from the attractions that are still available. Each attraction has a limited number of Fastpass+ each day so not all attractions will still have FastPasses available. This is why it’s so important to choose your FastPasses wisely the first time! It can mean the difference in covering 2, 3 or even 4 more attractions in one park day! 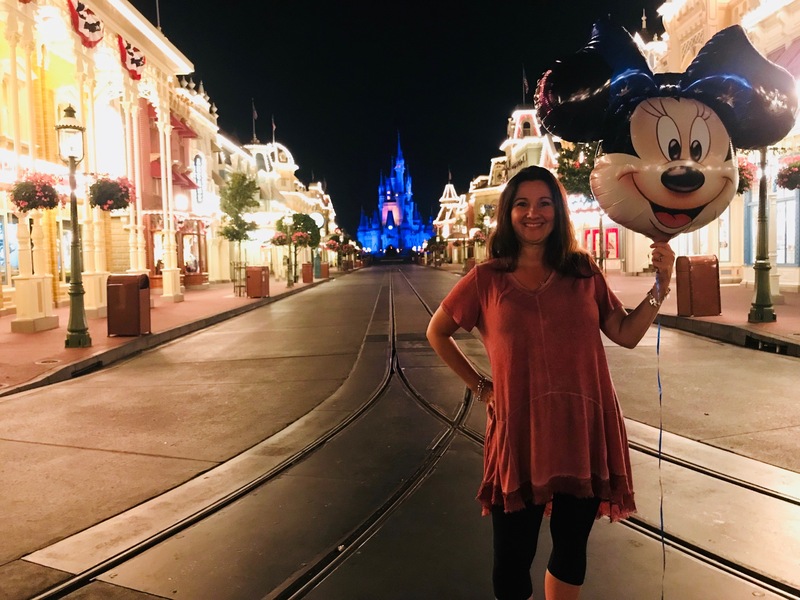 The biggest piece of using Fast Passes successfully is selecting them at 60 or even 30 days prior to arrival, and knowing the best ones to choose. Can I use my 3 FastPasses for different parks on the same day? No, your first three FastPass selections must be selected in the same park. What does the FastPass system cost? Unlike the MaxPass at Disneyland, FastPass+ is included with your park ticket at Disney World. Can I purchase additional FastPasses? No, most guests cannot purchase additional FastPasses. Guests staying Club Level do have the option to purchase 3 additional FastPasses per day.? The cost is $50 per person, per day and guests are required to purchase it for all days of their stay. My Disney Experience account isn’t letting me select my FastPasses what should I do? First, make sure your resort reservation or tickets are loaded into your MDE account.? If you have to load it, you may have to wait 15 minutes for the system to refresh and work. Second, double check that it is actually your FastPass day (60 days prior to arrival for on property guests, 30 for off property guests).? If you still are not able to select your FastPasses call (407) 939-4357. ?Which FastPasses should I select? You can read my blog post here on the best FastPasses to select to maximize your time in the parks. Do I need a MagicBand to use the FastPass system? No, if you don’t have a Magicband you will use your park ticket to tap into the FastPass line. This is difficult and stressful, is there someone who can help me plan my Disney vacation?